Late Spring greetings from Twin Eagles Wilderness School! It is a very busy time of year in the natural world, as robins, juncos, song sparrows and many more are fledging, the second wave of wildflowers are blooming like lupine, wild strawberry, queen's cup, and all the trees have now fully leafed out. Mama white tailed deer are getting ready to give birth, and soon summer will be upon us. May has been a very full month here at Twin Eagles as well. We offered a presentation about our school to our local Kiwanis Club, guided the Sandpoint Waldorf School Third Grade in a Wilderness Overnight Campout, hosted a very popular Morel Mushroom Hunting Workshop, completed our Spokane Monthly Youth Program, and perhaps most importantly initiated a new cohort of young women and young men with our annual Girl's Rite of Passage and Boy's Rite of Passage. Our school year youth and adult programs are coming to completion, and summer camps are nearly full! Volunteer or Work with Twin Eagles this summer! We are currently looking for volunteer assistant instructors who wish to deepen their experience of authentic nature based mentoring in a powerful culture of deep nature connection. Make a difference in the world by helping to restore hope in today's youth by connecting them deeply to nature, community, and self. Have a blast connecting with other nature based mentors and a whole community with shared values. Accommodations & meals provided at overnight camps. Click here for more info on volunteering at Twin Eagles. We are also looking to hire staff for the role of Lead Instructor. We're offering paid positions based on experience, with accommodations & meals provided for overnight camps. Have a blast working in a powerful deep nature connection mentoring culture, and deepening your mentoring expertise while supporting a common Vision of restoring hope in today's youth. We're known for crafting a culture of authentic depth mentoring. Click here for more info on working with Twin Eagles. 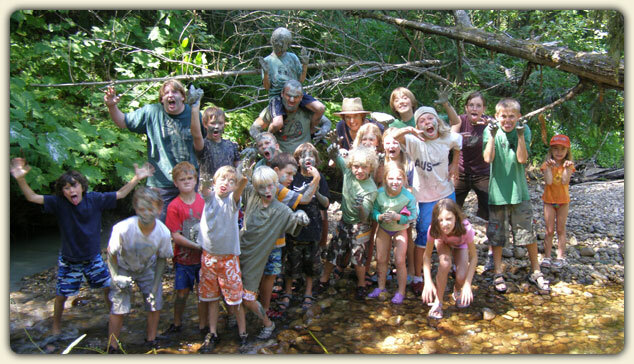 Twin Eagles Wilderness Adventure Summer Camps start in just two weeks! While some camps are now completely full with waiting lists, we do still have some spaces left. Don't delay! Sign up now while you still can! Spokane Summer Day Camps will be happening at the 9 Mile Day Use Area / Spokane House Interpretive Center, in Nine Mile Falls, WA. This beautiful location is comprised of over 100 acres of wild lands maintained by Riverside State Park. It includes mature Ponderosa Pine forests, lush meadows, and a mile and a half of frontage on the Spokane River that is easily accessible with gorgeous shade trees! It also includes the confluence of the Little Spokane and Spokane River, which is another incredibly diverse area! This spot is just 20 minutes from Spokane, and we are very excited to be running our Spokane Summer Day Camps here for the second year in a row, as we look forward to deepening our relationship with this land. 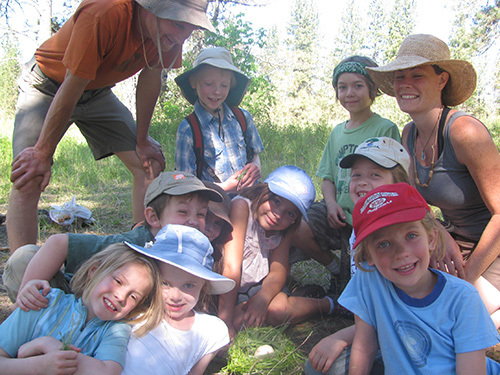 Sandpoint Summer Day Camps will be happening in two beautiful new locations. Our June Sandpoint Day Camps are located at Camp Stidwell on Mirror Lake in Sagle. Camp Stidwell is comprised of over 160 acres, including mature cedar forests, meadows, creeks, and access to Mirror Lake itself. Our July Sandpoint Day Camps are happening at Round Lake State Park, with over 100 acres of diverse forests, open spaces, creeks, and of course Round Lake. We're incredibly grateful for these very special locations! Our overnight camps will once again be happening at the Medicine Circle Eco-Retreat in Priest River, Idaho. It is with deep gratitude that we continue our overnight camps here for the 12th year in a row!! Medicine Circle includes a literal tipi and yurt village, outdoor kitchen, and beautiful mature forests, creeks, and springs. We're grateful to David Kirchhof for continuing to host us all these years at Medicine Circle! Last month Fathers came with their sons to Twin Eagles from across the country with courageous open hearts as they learned survival shelters, flint and steel fire making, wild edible plants & mushrooms, herbal remedies, and of course storytelling, songs, games, naturalist mysteries and tracking moments. 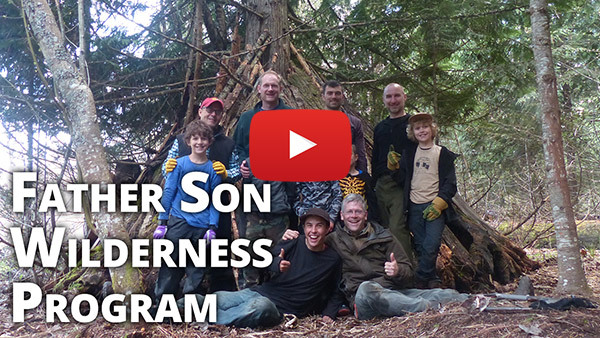 The experience came to a peak with their overnight survival challenge, and ended with most of us in tears as each son acknowledged his father and each father acknowledged his son. That sacred bond was restored and renewed for all, and we all left with full hearts! Come take a peak at the journey with this beautiful video! Blessings to you and your family this Spring!